Building Your Own Home Solar System – How To Get Started? 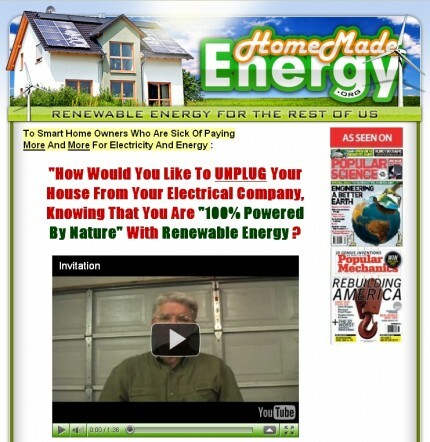 Home/Renewable Energy/Building Your Own Home Solar System – How To Get Started? Installing a solar panel on your roof helps you save hundreds of dollars a month on your electricity bill. By producing your own electricity at home using a Photovoltaic (PV) solar panel, your electricity bill can be reduced by 80%. 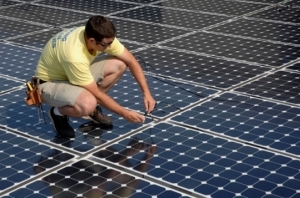 Installing a solar panel is not as costly as you might think. If you can build your own solar panel, its cost will just be around $200 per panel. And the good thing is that you don’t need prior experience and any special skill in building a solar panel and installing it on your roof. With such a small investment and a great economic benefit, it is not surprising to see that an increasing number of people are now building their own solar panels. To start with, you have to assemble a solar panel by soldering multiple solar cells together. All the components you need to build a PV panel are available at your local store which supplies solar accessories. Depending on your home energy requirement, 10 – 15 sets of 16 volts solar panel would be sufficient for your needs. The parts needed to build your PV system will not cost you more than $150 for individual panel. Then there is the battery to be purchased. 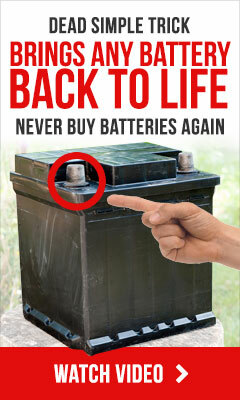 What you’ll need is a series of deep cycle batteries. 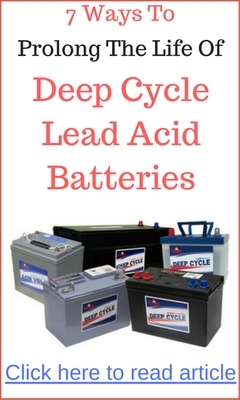 Choose a lead or deep cell acid battery whose output is 12 volts. Link a couple of batteries together to make your battery bank to store the electric charge generated by the solar panels. Other important components you need to buy are the DC meter and the DC input. The DC meter and the DC input help to measure and transfer the electricity produced by the solar panels into the battery and supply electricity for your home needs. Then there has to be a converter to convert Direct Current (DC) into Alternate Current (AC) for your appliances at home which mostly run on AC. Connect the DC input and the DC meter to the battery with insulated wires. It will be safer and easier if you connect the wire to the negative terminal of the battery first. Once the wire connections are complete, your solar panel is ready for use. Place the panels outside at a place where it gets the maximum amount of sunlight. Initially, it will take around 8 hours to get the battery fully charged. Once your home solar setup becomes operational, your electricity bill will start to drop. By installing a solar power system at your home, you are not only saving money but also helping the environment to be clean. In case you find the instructions given here is insufficient, you can search on the internet for more detailed and easy to understand instructions on DIY solar panel projects. Producing electricity at your own home using either wind generator or solar power is beneficial on different counts; you can save money and you can help prevent further degradation of environment. Both wind and solar are renewable and clean sources of energy. To be successful in producing electricity at your home, you must follow the correct installation procedure. If you depend on instruction available on the internet to make you’re your own solar panel, make sure that the instructions are provided by someone who knows the inside out of solar energy production. If you are looking for a DIY Photovoltaic panel construction guide, check out the Homemade Energy program created by Ben Ford. The program comes with High Definition (HD) instructional videos and pdf files on the step by step process needed in making a PV panel on a limited budget. Click on the link below to visit Ford’s web site right now. ==> Click here to visit Homemade Energy now!